The festival of celebrating new fashion trends that will keep coming in your shopping dreams and cravings in 2016 finally passed. We can all breathe freely now! As we wrapped up the fashion weeks in New York, London, Milan and Paris, some of the fall 2016 fashion trends became more obvious than others. This is mainly because they were repeated in a few cities, growing from a detail peculiar to a certain city into a worldwide fashion trend you cannot ignore. 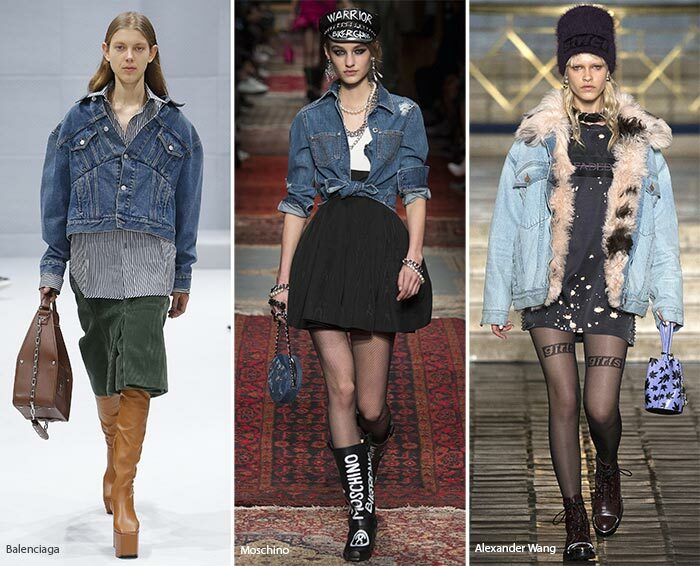 Denim is one of those irresistible trends for fall 2016 that appeared on the top runways, and then quietly sneaked into the fashion streets of the capitals. There is something extremely feminine about a denim jacket over a soft dress. As spring kicks in fully, this is the number one style you’ll be seeing in the streets. Don’t ever underestimate the denim jacket; it’s both warm and comfortable. It’s a great cover in case of showers, and you can always take it off if it gets too hot. And if dressing uniquely is a priority for some of you, you might want to grant Lutz Huelle’s latest experiments some attention. If you simply can’t wait for a warmer weather to rock the dress & jacket match, follow Stella McCartney and her denim coats. In fact, it’s not just Stella, Peter Dundas also designed a few denim jackets for Roberto Cavalli. Some would think denim is youthful and cool, but doesn’t suit a more sophisticated and elegant customer. Think again. And then refer back to Chanel’s denim and tweed coat mutant. If anything in the fashion industry is both elegant and sophisticated, it’s Chanel, and they’re also denim fans. Moving on, if Zac Posen’s latest collection didn’t convince you that pantsuits are a big deal this year, I don’t know what will. The master of eveningwear gave up the traditional silhouette of a luxurious gown and came out with pretty innovative solutions, including pantsuits for special occasions. A couple weeks later in Paris, fashionistas were “roaming’ the city wearing denim pantsuits. This should be all the convincing you might need, because the rest instantly meets the eye. 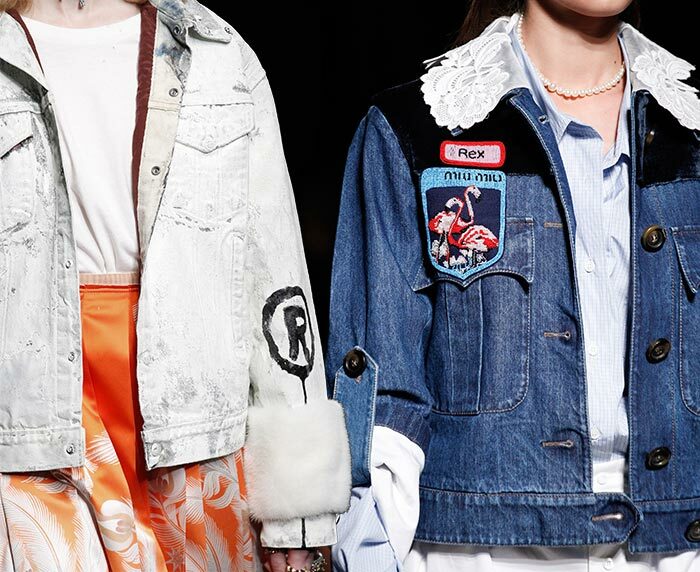 Denim is the fabric of 2016, sharing its top 1 position with velvet. Wear it plain or embroidered, add ethnic and folk attributes like cowboy boots or stay classy with black stilettos. Show your body in a tight dress and a denim jacket over it, or get lost in a loungy weekend outfit, wearing loose-fit full denim all day. The trend is out! You’d better get on the train now!